Funko has announced its upcoming Justice League Movie Dorbz Series based on the upcoming live action DC Comics film! 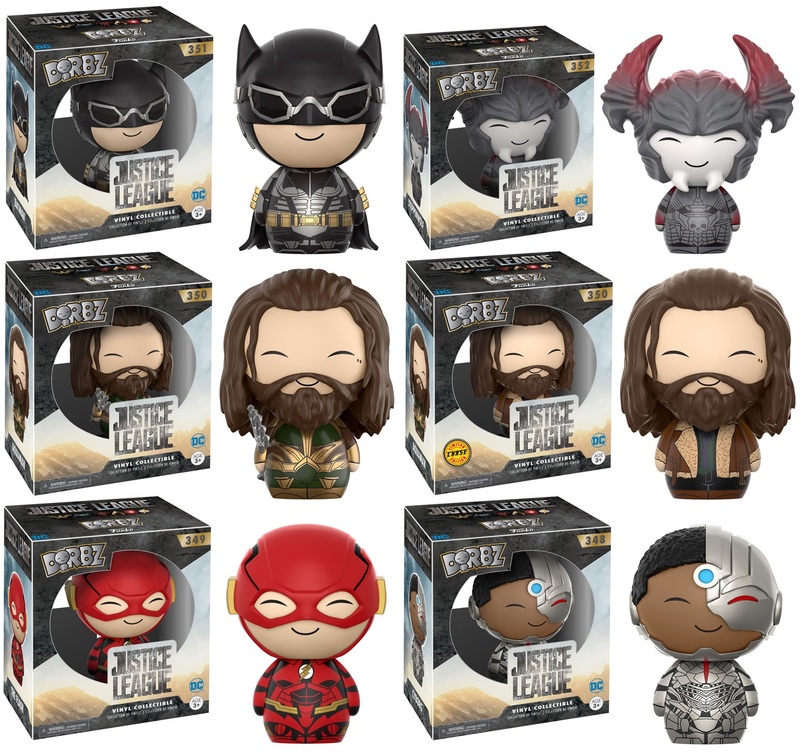 This new Justice League Dorbz Series includes Batman, Aquaman, The Flash, Cyborg and the evil Steppenwolf. There’s also a 1 in 6 Aquaman Dorbz chase of his civilian identity, Arthur Curry. Each Justice League Dorbz Series vinyl figure stands 3” tall and comes in window-box packaging to fully display each character through front and back box panels. Collectors can pre-order these DC Comics mini figures now at Entertainment Earth for $7.99 each here.